4When you, or a loved one, is diagnosed with ALS, the days ahead may feel overwhelming and filled with emotion. What exactly is ALS? What is going to happen to me? How much time do I have left? What should I do now? These questions, and many others, might race through your mind in the days and weeks following your diagnosis. You might feel sad, and grieve the losses that come along with receiving such a prognosis. Many ALS patients feel alone, never having known another person who has suffered from ALS. You are not alone! Support is available for you and your family. There are several ways to find comfort and encouragement from others who truly understand what you are going through. Online ALS communities and local in-person support groups are available to you and your family. Enroll now in the national registry! By signing up you will help the ALS community understand how many people have ALS. 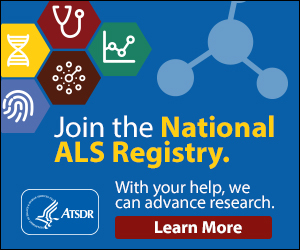 You can complete surveys to help the ALS community understand who gets ALS and what factors affect the disease by answering questions. PALS can be notified of clinical trials and research studies not only at University of Michigan but all across the country. “Patients Like Me” is an online community dedicated to helping people learn more about ALS, share their stories and experiences with other people with ALS (pALS), and find support from others who are living with ALS. This chat room was founded by a family affected by ALS. Registration is free. “Daily Strength” offers free, anonymous support for a number of concerns, including ALS. Type “ALS” in the search box on the homepage, and you will find the ALS Support Group page, where you can post your thoughts, respond to others’ notes, or read through experiences shared in the chat room. ALS of Michigan hosts free, open support groups for PALS and their families, friends and caregivers. To be added to a support group reminder mailing list please call (800) 882-5764.